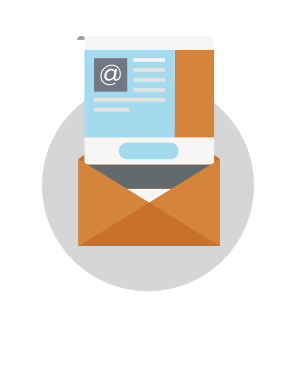 Why use an animated GIF in email? 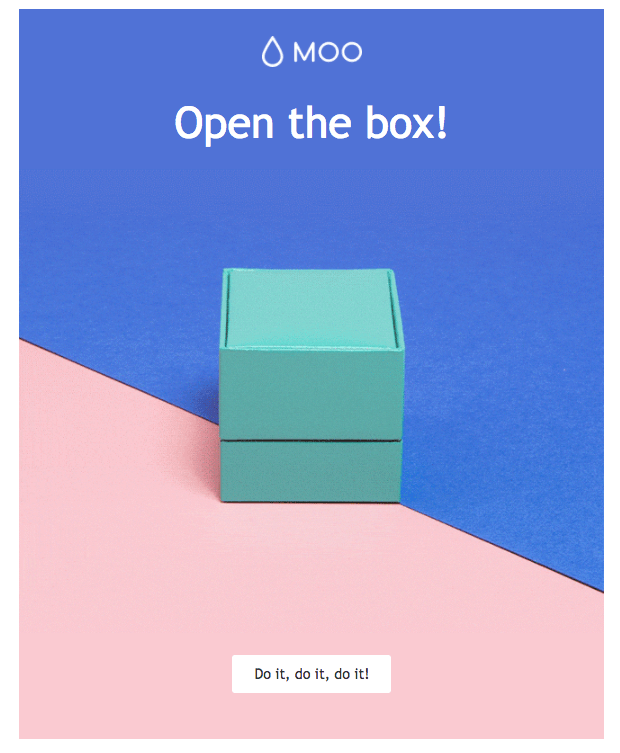 Design your next email with an animated GIF and go Pro! In the world of email design, special occasions have come to mean one thing: Getting animated! As in, including an animated GIF in your email design. The big takeaway: email marketers increasingly see animated GIFs as a must-have for volume-heavy email days. This Valentine’s Day was no exception. 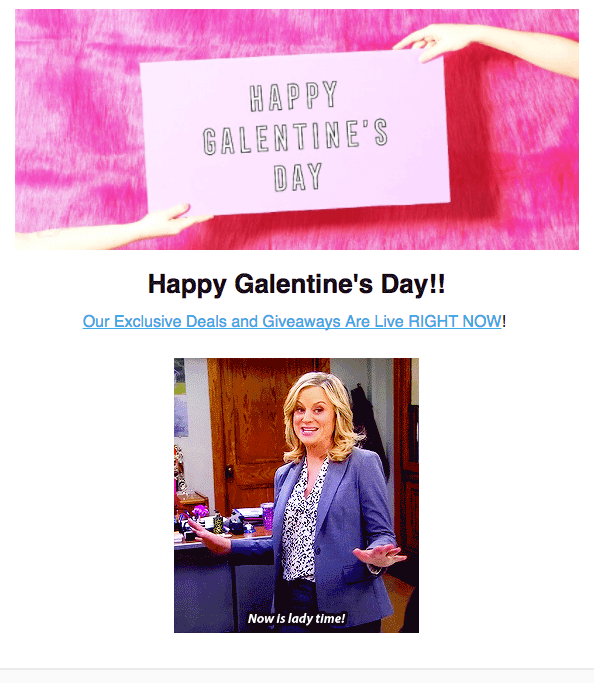 In fact, we saw so many Valentine’s Day themed animated GIFs in emails that they’re going to be our primary focus today. 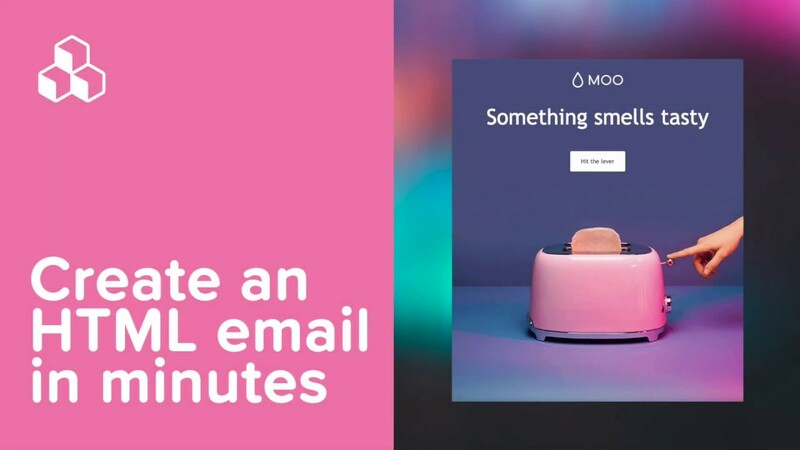 Check out how brands are using animations, and consider these email design GIF tips for the next big campaign on your calendar. Still, email marketers generally agree that too much of a good thing isn’t always positive. As a result, animated GIFs are still used sparingly in emails. 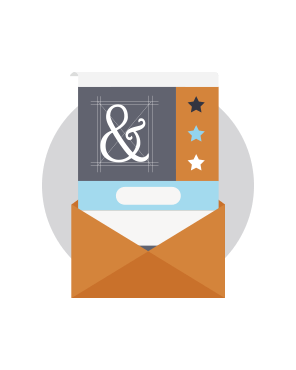 Brands don’t typically animate a promotion email or a newsletter. 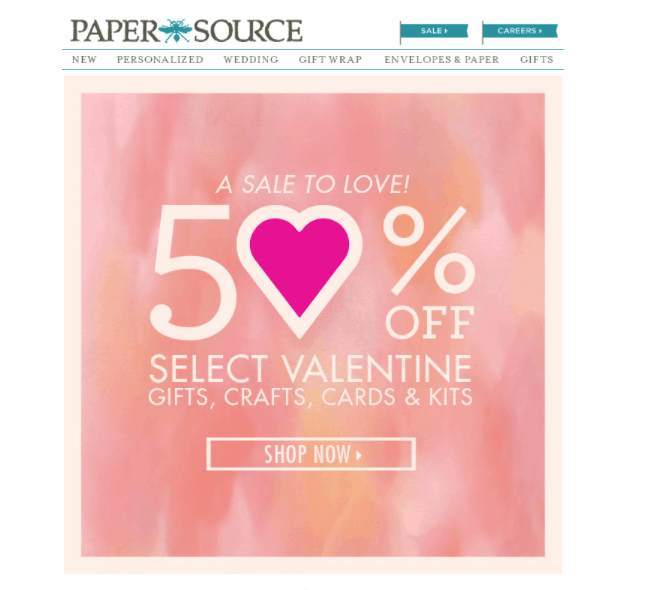 Instead, animated GIFs are used for special occasion emails—like Valentine’s Day—when they’ll add the most value. 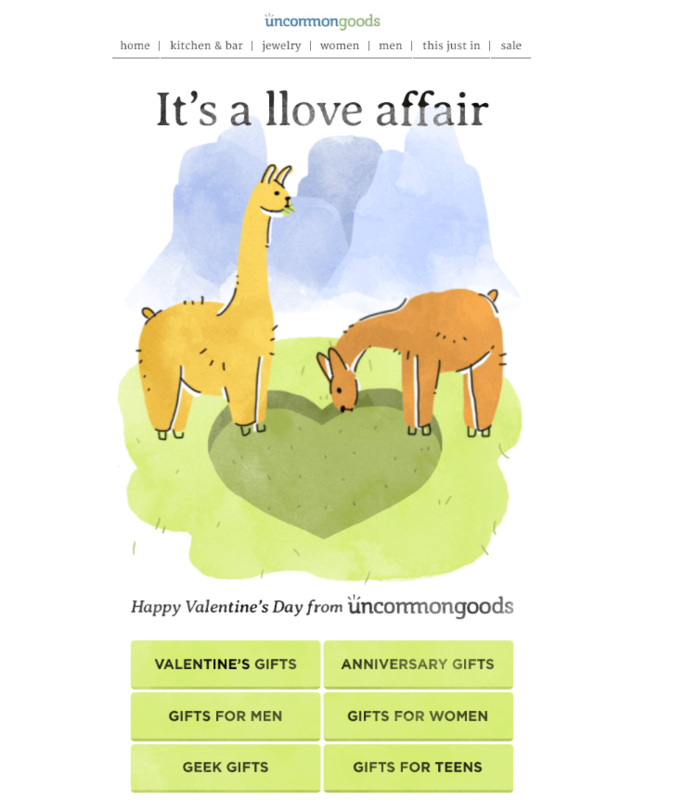 Here’s how brands used animated GIFs in emails this Valentine’s Day. 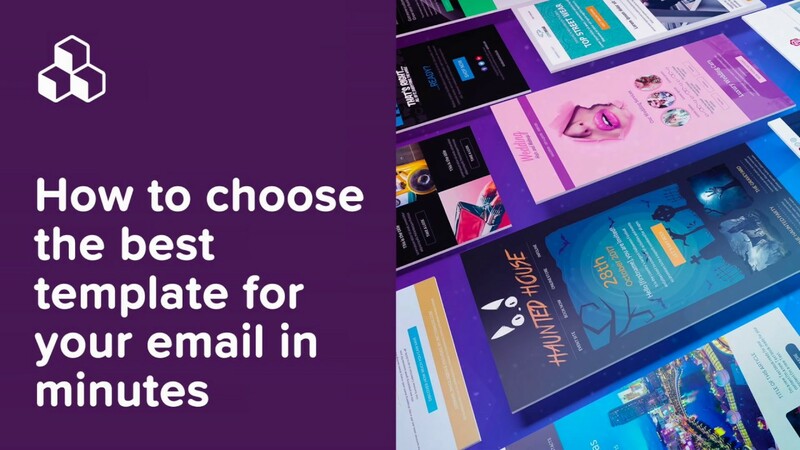 Adding a little animation to your email’s hero image is one way to level-up a simple email design. 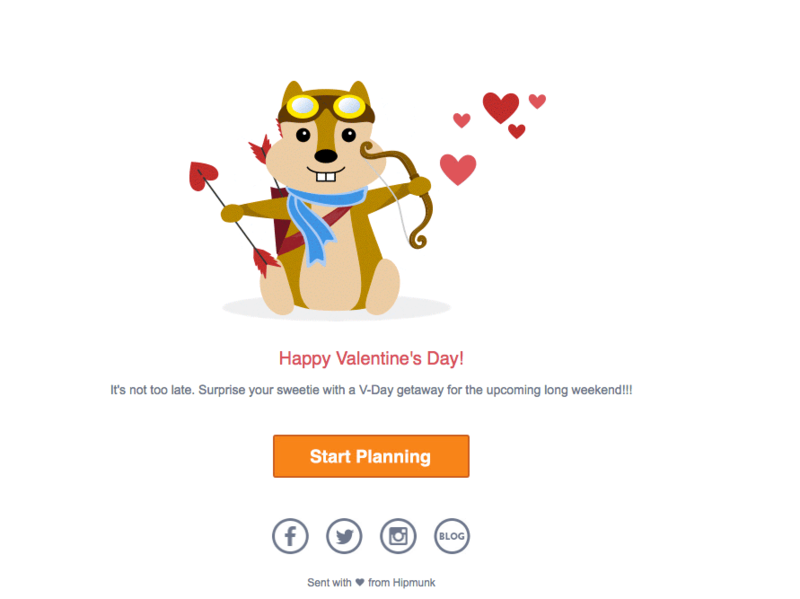 Hipmunk, the travel company, animated its cute chipmunk mascot for V-Day. The full email uses great design simplicity: no clutter from a navigation menu or secondary CTAs, minimal text, and an easy-to-spot CTA button. We appreciate the break from cliché pink-and-red—and how the brand isolated the animated portion of the image to decrease the size of the GIF image file. The simplicity of the hero-image GIF works: without clutter, your GIF gets the attention it deserves—and will hopefully drive clicks. But, this method is also a basic approach, and as brands increasingly use GIFs for holiday campaigns, we expect to see GIFs used more cleverly. Can you tell what’s in the box? Or what the promotion is? Nope! The only way to do that is to click. Plus, the header and CTA button work together to help encourage you to do just that. Used sparingly, this GIF method is one of the best ways to engage your audience members. The email, promotion, and message are all more interactive—and fun! Animated GIFs are useful for featuring products in a way that can be more engaging, effective, and space-efficient than a series of static images. 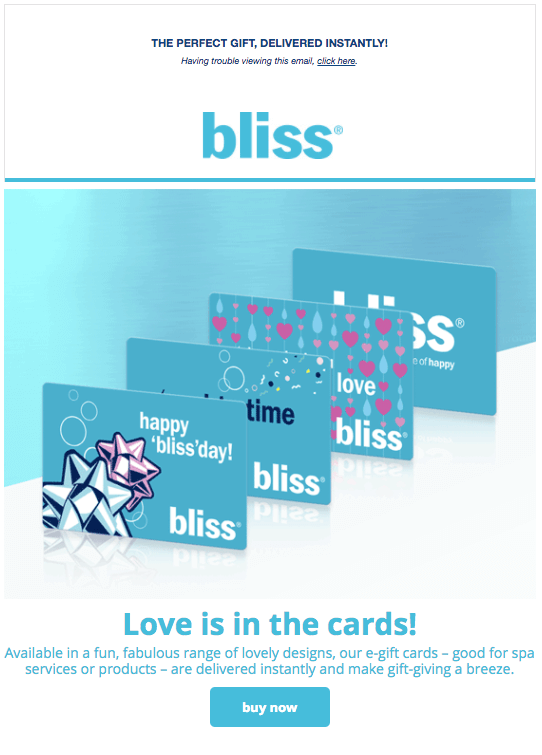 To promote last-minute gift card purchases, Bliss creates a simple rotation GIF as its hero image. As for Estée Lauder, its Valentine’s GIF flashes between images of lipstick and the lipstick in use. Of course, showing your product in a rotating series of images isn’t the only way to use GIFs. Grovemade, which makes wooden tech accessories, thought outside the box by using its products to create this beating-heart animation. 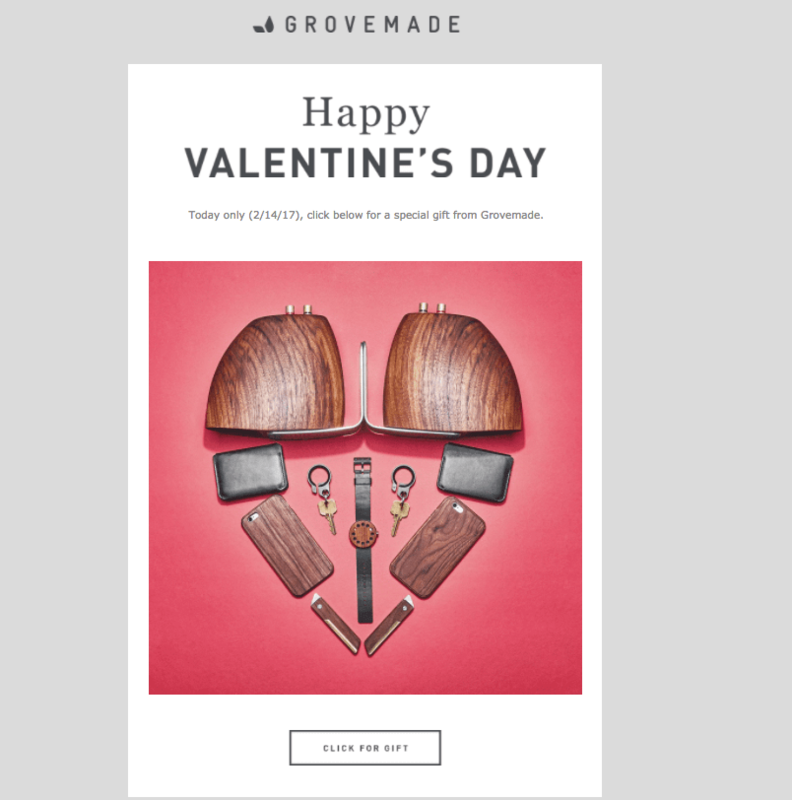 GIFs are great for showing off products, but they’re even better when you show them off in an unexpected way (like Grovemade) or in a way that demonstrates the product. Image carousels and product tours in emails also allow readers to get more information without navigating away to a landing page. 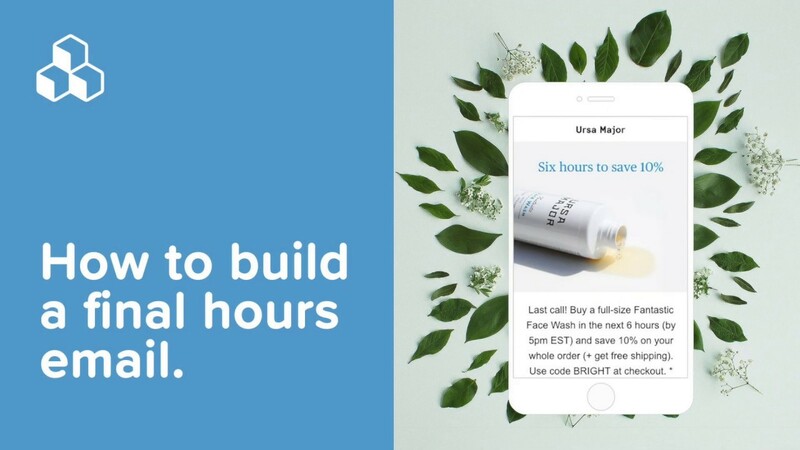 When customers can quickly and easily see how your product works, that transparency can help lead to a purchase. The message has a lot going on, so it’s easy to see how the GIF might get lost in the shuffle. Still, we like how the video GIF is supplemented with products used to achieve the look, giving readers a chance to browse within the email. Animated GIFs are a great alternative to including video in email. Think of a video GIF like a mini trailer for the full-length piece. If you can show a little bit of teaser content—and create a curiosity gap—you can encourage readers to click through to the main site. This approach also creates a curiosity gap because readers won’t know how much they might save until they click through to the site to shop. If something is intriguing enough, readers will want to satisfy their interest. Some numbers-based GIFs don’t serve much of a purpose but others, like the one from Petsmart, do more to get readers excited. If you’re doing to go with a simple animation centered on your discount, see if there’s a way to add a layer of curiosity or meaning. Since oversized GIFs can be slow to animate and eat up data plans on mobile, we like that these GIFs don’t take up a lot of space. Still, it’s hard to measure their value, since they don’t serve a direct purpose in the email. To check if a simple GIF like this makes a difference for your audience, make sure to do an A/B test! Of course, everyone enjoys a good meme now and then. While using one isn’t the most creative or unique approach, it will still do when in a pinch! Will you be adding an animated GIF to your email marketing campaigns in an upcoming holiday or special occasion? 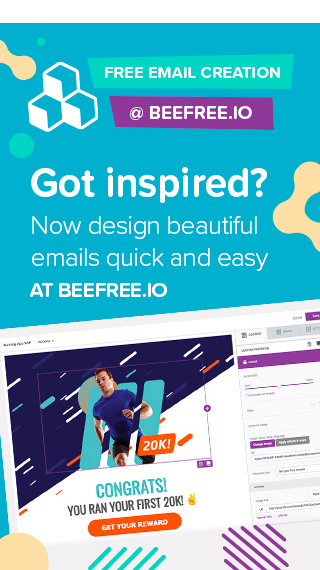 Design your email message in our easy-to-use, drag-n-drop BEE editor. No HTML knowledge is required, plus your email will be mobile responsive. Sign-up for a BEE Pro free trial! 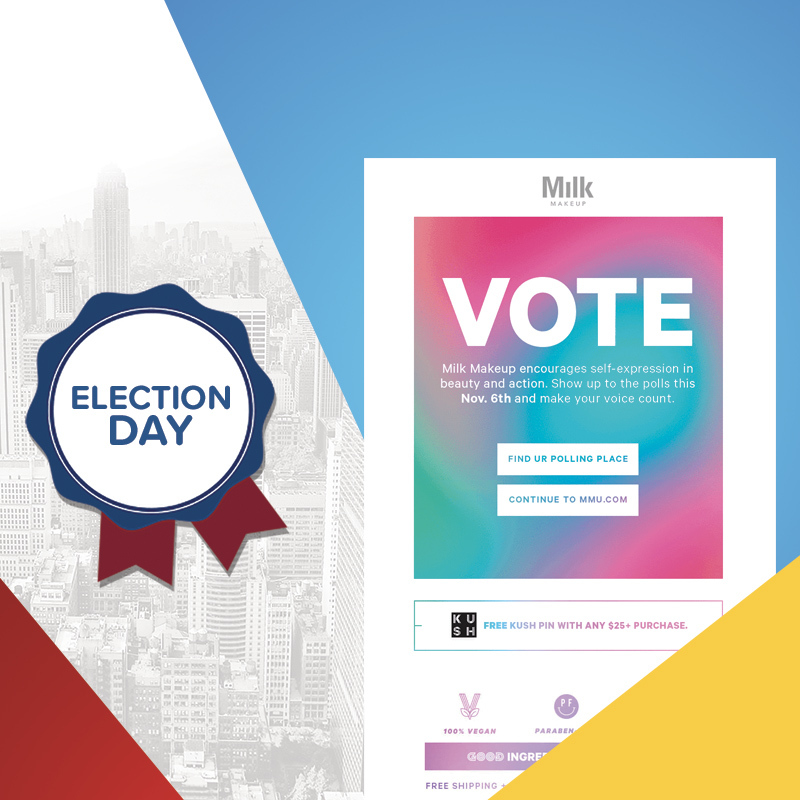 Election Day Emails: Which Brands Are Getting Out the Vote?